Once upon a time, a few mistakes ago…… And well, you know the rest! It’s not a new thing that good girls love going for a bad boy, it has always been this way. It’s not necessarily anything they do or say but it’s the feeling you get when you’re around them. Bad boys aren’t always covered in tattoos and you won’t find them casually standing by their car, smoking – that’s the Hollywood stereotype. The real bad boys have nice hair, good jobs and they say all the right things. While the bad guys clean up with the ladies, the nice guys wait on the sidelines claiming that women ”prefer to be treated like crap” – and for some reason this seems to be true. You go for the ones who you know are trouble, who aren’t going to treat you well or buy you flowers. The ones who will only call you when they have nothing better to do. The ones who will send you to the brink of madness and manipulate you until finally enough is enough and you decide to call it off……for a while anyway. Because let’s be honest you’ll go back to them and the whole thing will happen all over again because like a magnet you’re drawn to their ‘take it or leave it’ attitude. But why? Remember Justin Bobby from The Hills? Lad with the motorcycle and glorious, flowing locks? Yep! Remember how he would just show up on his cool bike whenever he felt like it! He would mess Audrina around and then when she decided she’d had enough she would end things with him, for like a week. It never bothered him because he knew she would come crawling back.Which she did, many a time. He even kissed another girl in front of her and then convinced her she didn’t really see it and that she was just ”believing what she wanted to see”. And she agreed with him. Mind f*****g at its very best! In classic Justin Bobby style he once gave Audrina a promise ring as a sign of his commitment to her…. and then he did a complete 360 and she basically never heard from him again. Ah, Justin Bobby – he had lovely hair but my god that boy was a weirdo. And he really didn’t care, he was just going along for the ride – literally! Some girls just gravitate towards guys who are bad news. But why when there are so many nice ones to go out with? 1. The chase and the challenge – Most people enjoy a challenge and going after the ungettable. The bad ones keep you on your toes. They reel you in and make you fall for them and then they take a step back and suddenly you’re the one chasing them. It’s all a game that you unknowingly enter yourself into. You keep playing because it’s far too interesting not to. 2. 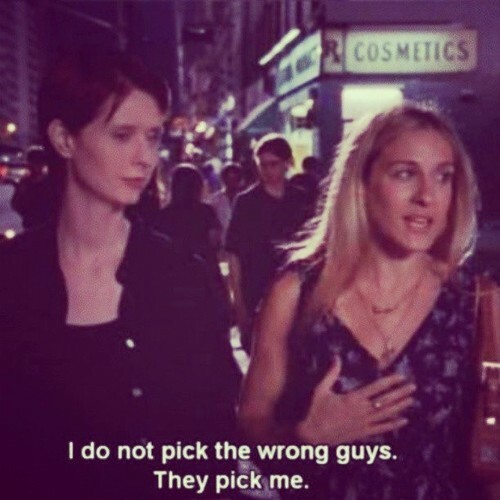 It’s not sustainable – Maybe deep down you know you’re not ready for a real relationship, so subconsciously you go for guys who you know it will never work out with. You take comfort in the fact that this lunatic will never be your husband so you justify it by saying ”ah sure it’s grand for now”. It’s like falling for someone who lives on the other side of the world, or someone younger or someone you work with. Ultimately its never going to end well but you don’t want it to anyway, right? 3. The dramatics of it all – You just don’t know what stunt they’re going to pull on you next and you can’t help but stick around to find out. You might not get a promise ring but what you might get is a nice watch and an earful of cliched lines such as ” it’s you, it’s always been you and it always will be you” – a classic! But just like JB they’ll deliver the grand gesture and then go back to their shady ways. Never a dull moment and this is why you keep going back. 4. The game-changer – Most women have a built in need to fix things and/or people. So you pick the troubled, tortured one to go out with because you want to ‘fix’ them. You think you can be the one to change them, to make them ditch their womanizing ways. You want them to settle down with you, drink tea and watch The Notebook. It’s the fairytale mentality, you want to be the exception not the rule. 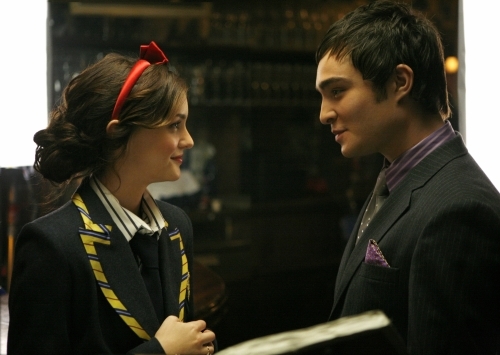 Unless you’re Blair Waldorf you’re probably never going to turn a bad boy good. But if nothing else at least you’ll get a good story out of it, learn absolutely nothing and move on to the next one. Ah women! If you ever do find yourself wondering where all the nice guys are, more than likely they’re in the friendzone where you left them. < Previous Paris Fashion Week AW14 Highlights! Next > You Mean Like a Date? Reblogged this on The Writer Monkey.